Little Atoms: Congratulations on this fantastic collection. The blurb suggests a revisiting of great feats of human engineering, and you go straight in on the Titanic in “The Milihelen”. As someone from Belfast is engineering something that’s a conscious thing floating in your background all the time, or is it something you reached out to? 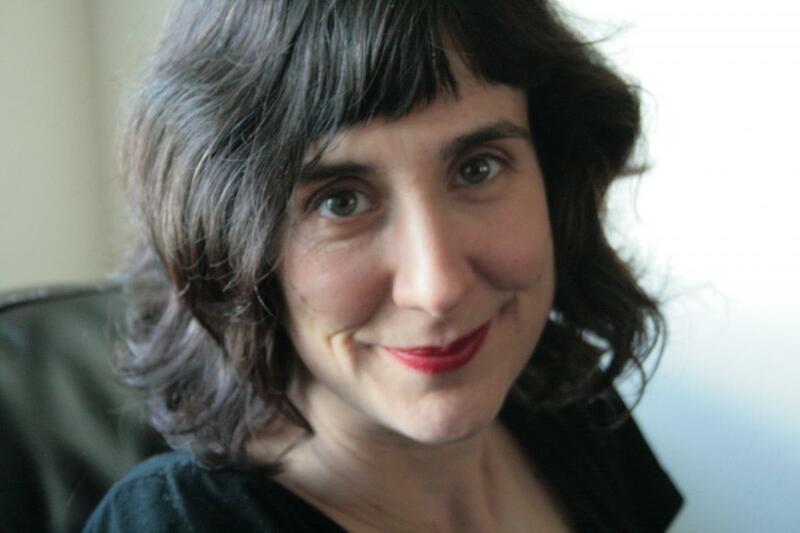 Sinéad Morrissey: I think with this collection it’s something I reached out to. 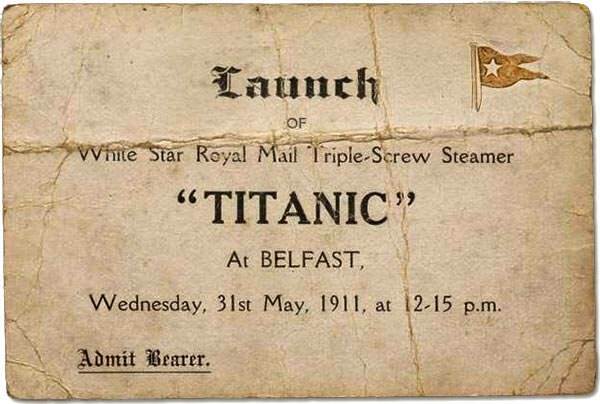 The Titanic is massive if you’re from Belfast. I visited the dry dock a couple of times with my son because he was involved in a Titanic project in school. Everybody goes to the Signature Building, but not so many people go to see the dry dock, which is the space where it was completed over a year. And it was the biggest dry dock, I think, in Western Europe, which is what determined the location for the building of the Titanic. That’s why Belfast got the contract because they had this massive dry dock. So I visited that, and I got a sense of the ship’s scale really for the first time inside this space. SM: Yeah, it’s a recreation of the launch moment, which I’ve just imagined really. In that poem I’ve tried to not just describe it but enact it in language. So that’s really the ambition of that opening poem is to enact that event rather than just describe it. There’s all this slippage in language and syntax to mirror the slide of this massive ship into the sea. That’s a birth poem really, as the ship is launched, so it’s perfect to start the book with. The book was unusual because the title came first, and I had a deep sense of how I wanted the book to be and the kinds of things I wanted it to be about. I found out about Lilian Bland quite early on, and I’d never heard of her. I became very interested in gravity and things that defy gravity and the miracle of things staying up when they shouldn’t, whether that be human bodies or Lilian Bland’s Mayfly or a racing pigeon. Buoyancy, really, is one of its interests. LA: Batman recurs a few times. My son, well, he’s not into Batman anymore, but he was. And I think my concern with balance comes out of the fact that my son is very dyspraxic, so he finds balancing and coordination very difficult, and he can’t ride a bike. It took him a long time to learn to swim. He can swim now, and he can ride a scooter, but he still can’t ride a bike. So just working out what dyspraxia was and how it would affect the way you hold yourself in the world was something I was thinking about anyway, and it sort of led to these other subjects. LA: Batman’s different in that he’s a superhero without actual superpowers who has engineering solutions to problems. Yeah, I hadn’t thought about that that, but that’s true. LA: I think the phrase you use is “bat resources”. His bat resources, yeah, which is hopeful isn’t it? Because then you can just overcome it yourself if you do the right things, and you’re diligent enough. There was an episode, my son was watching a Batman cartoon series while I was writing this book, and there was an episode that included a villain called Dr Vertigo who made everybody feel dizzy and then stole their valuables. So that was just too good to leave behind. I had to get that in there. LA: One of the things that pops up once in awhile is photography, whether it’s a description of black-and-white photographs or the Tsarist Russia or the Arctic Exhibition. Is there, it seems like an obvious question, but the role of the photographer and the role of the poet in terms of capturing things, is that something you’re conscious of? SM: Absolutely. A lot of my last book was about photography, and older photographs and older films. It’s something I can’t let go of. It keeps coming back this thing about photography, and particularly old photography that is very historical. I find that almost unbearably moving when I see it. Do you know Prokudin-Gorsky, do you know his work? LA: I think I know the collection, the particular one you’re talking about. They were around the south Caucasus. SM: Well he went all over, but yeah. They’re so surprising to see that world in colour. It’s so shocking because we imagine the past happened in black and white and that the Impressionists were way off and subjective. But when you see those photographs you think, no that was truer because it was colourful. And we have, you know, all photography’s claims when it happened to be true have to be tempered by the fact that they drained the world of colour, which must be one of the most dramatic distortions you can cause to reality is to drain it of colour. SM: Yes, because the Revolution was what brought modernity to Russia, and the social conditions that existed in Russia before the Revolution were the social conditions that had existed in Russia for centuries. We think of the old world and the Revolution is coming and bringing in the new world, and the violence of that action. And those photographs just stand that on its head because they look like me or you. SM: In their own time, and they had no idea that they were historical. LA: I think the really fascinating thing, moving on from that point about the Revolution, your background is I suppose slightly exceptional in Ireland because you had a communist kind of upbringing essentially. Do you think in some sense that there’s, I think, for people who got involved in communism in Ireland, and particularly in Northern Ireland, there was an attempt to escape the other definitions that were foisted on people? SM: Yeah, definitely, it was extremely non-sectarian in its ethos. It was a very small group of people when I was involved in it as a child, and my parents were very active in it. It was very minority. But yeah, the ethos was completely non-sectarian, and I think that changed as the 1980s wore on, and the communist party in the north became, I think, increasingly aligned with the republican cause, which alienated a lot of people. But there had been a deliberately non-sectarian basis to it because it attracted people like my grandfather who had come to it through the Irish republican path. Sean Murray founded the communist party of Northern Ireland, and like my grandfather he’d been in the IRA and got converted via Connolly’s socialist writings. So there was that tradition, but there was also a massive shipbuilding, working-class, Protestant tradition, so it did have those two constituencies that came together, and the ethos was definitely non-sectarian. I think that was really valuable about growing up in it was not being defined according to the rules of either community in Northern Ireland. I think that was incredibly valuable to me personally. LA: So day-to-day how did that work? SM: Well I think a sense of dislocation from your immediate environment because it was so determined by the reality of these two groups of people that I didn’t feel particularly connected to. And then my mum’s English, so I always felt I wasn’t really completely of that place. And then my grandfather and my father who were both from Belfast going back generations, they were communist and running as communist party candidates. So I definitely felt dislocated from Northern Ireland, but I think in some ways that was a good thing. LA: Your grandfather was interned? He was interned. There was a programme of state internment during the Second World War, which not a lot of people know about, and when he was a teenager he had been asked to remove an Easter lily pin by a policeman in Belfast, and he wouldn’t. So they sent him to prison for three months. Then shortly after that the Second World War began, and because he had a criminal prison record as an IRA at least sympathiser, they interned him. So they locked him up between 1940 and 1945. He was on the prison ship in Strangford Lough initially, which was really dangerous because if the Germans were going to bomb there was nowhere for the men underneath to go to. I think the Americans petitioned the British government via Irish-American societies there to get the men off the prison ship. Then he was in gaol in various prisons around Northern Ireland until 1945, mostly in Crumlin Road Gaol. LA: And this was specifically republican sympathisers? Yes. He was locked up with members who were sympathisers of the IRA. He was so positive about his years in prison. He said, “they were the equivalent of my university years. I was locked up with the best and brightest of my generation”. He learned Irish, and he played chess, and he learned bookkeeping, and he read books. He’d left school at 14 with no qualifications, but he read books – he had access to books through the prisoners relief fund. So families of prisoners were able to bring him books, and the men were allowed to read as much as they wanted. He read Connolly, and so he had a kind of conversion to socialism while he was in prison. He self-consciously left the IRA in prison. They would keep their military formations and drills and marches, and there became a point when he just refused to take part in that and would read. He read and read and read and read. It took him a long time to join the communist party because the Catholic Church was so hostile to it, and he’d been brought up within the Catholic Church. I don’t think he believed anymore, but he did find it very difficult to actually join although he was converted really from the 1940s. So then he brought my father up with this belief system, with these politics. And then my father and my mother were both, my mum joined the communist party in England, in Sheffield, and so they met via the communist party and we were brought up in the communist party until 1989 when it all fell apart. SM: Jan and I have had lots of conversations about it. She was brought up in the Plymouth Brethren, so they went door to door, and they had a map of who was saved in the village. It’s really funny. I know completely different but with certain similarities. I actually think her upbringing was more severely strange than mine was, but I think there was loads that was really positive about mine. LA: I think that what Jan was saying was that it was the related thing of being brought up in a belief system, and that you said that communism was a belief system as much as it was politics. SM: Yeah, it was like going to church. There were stances you were expected to take on any issue because you knew that would have been the appropriate ideological stance, which is very interesting. That’s what moves it out into a whole system of belief rather than a political opinion. LA: That something people like Alexei Sayle and David Aaronovitch address in their memoirs. I love both of their books. Those books describe my childhood. In fact, how did they know? You read it and you go yeah, all the same things their parents said my parents said. And you kinda think how bizarre, but in a way it’s not bizarre because the ideological structures were exactly the same, so it makes perfect sense that their childhoods are closer to my childhood even though one was in London, one was in Liverpool, and they were at different times. I could relate so closely to what they said about their childhoods. I thought Alexei Sayle’s was so funny. He did it with such a light touch. I tried to talk a little bit about it in my earlier book in my poem The Party Bazaar. So that is totally the way it was, every Christmas with these products from the Soviet Bloc, which were terrible. Really bad Bulgarian rose perfume in little wooden vials. SM: Yeah, well the church was so vehemently anti-communist. Sean Murray who founded the Communist Party of Northern Ireland went to the Soviet Union. He went to the Lenin School, and the Lenin School was this incredible place where they took people from all over the world and trained them to be revolutionaries so they could go back to their countries and start Bolshevik revolutions. And he went and he was there for three years learning how to do this, which I think is amazing. Then he went to Dublin and he founded the Communist party but the premises were burned before they held their first meeting. All the priests were denouncing communism from the pulpits. They saw it as such a threat. 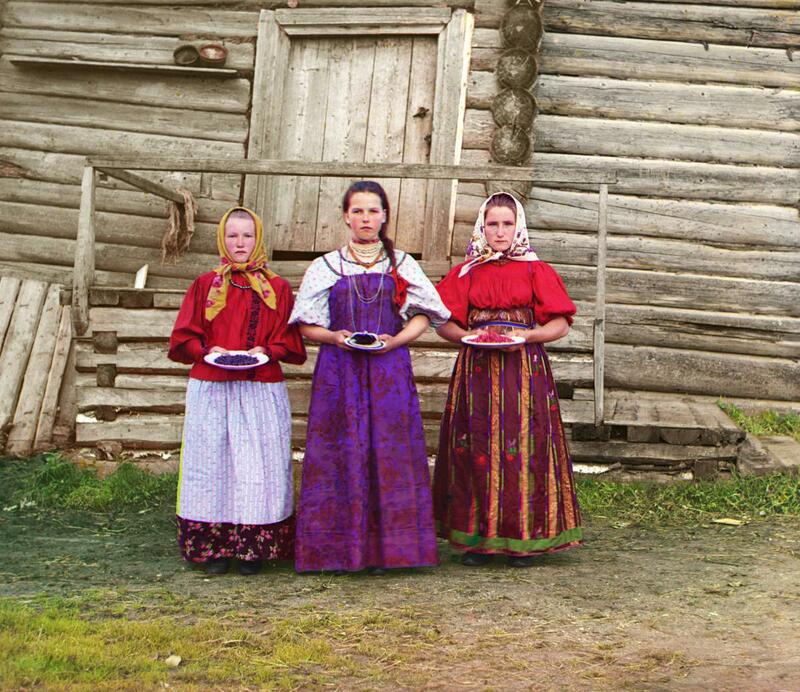 I’m endlessly fascinated by all things Russian. That’s one of the consequences of this upbringing. I’m very interested in all of that: what was the Lenin School like, and what were they taught. I went to Russia in 2014 and I found my grandfather’s file and my father’s file. They probably had a file on my mother as well. My grandfather’s was quite extensive because he was on the executive committee. My understanding as a child was that these meetings were very boring and went on for a long time with posters on the wall and everybody smoking. And it was just like “ugh, it was so boring” and such a small handful of people in these meetings. But the amazing thing about seeing that file was how all the minutes of the meetings were documented and typed up in Russian in all these people’s files. So they were really interested. David Aaronovitch talks about how his family phone was tapped by Special Branch. Our phone was tapped. They were all tapped. You could hear the clicks. So we were really interesting. Special Branch was really interested, and the Russians were really interested. But really nobody else was, and it was very marginal and there was never any electoral success. Candidates stood all the time, but I mean there’s no middle ground at all in Northern Ireland now. LA: You mentioned your son and his dyspraxia. There’s a huge amount of warmth in the poems about your family in On Balance. Children come into an age where they’re much evolved more into their characters? Does it change how you write about family? SM: Yes, I think it does as they get older. I feel so warmly towards both of them, and they’re both so different. It’s a challenge to capture how you feel about them really without being overly sentimental or indulgent. So there’s a poem in there as well about my daughter, in her voice, [My Life According To You] and that’s my daughter at about 6, and she’s 8 now. And she’s completely exuberant, and it was fun to try to get her stream of consciousness and also what she thought was important about my life, which, she leaves out huge things and focuses on these funny details. She started to tell me about this, not exactly in those words, but she said, “I’m going to tell you the story of your life, mummy, and you were a kid and then the morning the box arrived!” She was fascinated about the story of when this kitten arrived in my house when I was 10, and that got blown hugely out of proportion. So I continued to try and mimic how she might say or describe things. It was really fun to do. And there’s the irony – there’s supposed to be an irony running all the way through about what she doesn’t understand. So that’s really the engine of the poem is the gap. That’s what I intended anyway. LA: You say you just discovered Lilian Bland. Let’s talk about that. So, Joseph, my husband, who told me about the word mllihelen as well, he said have you heard of the word milihelen [a milihelen, after Helen of Troy, is the amount of beauty required to launch one ship]? And I hadn’t. And I thought that’s just fantastic, that word. So that started off the Titanic poem. He came home, and I was writing these poems, and I had the title first. And he knew I was interested in this structural challenge, writing about physical structural challenges in poems which are themselves structural challenges. And he said have you heard of Lilian Bland? And I said no. There’s a park in Glengormley that has a replica of the plane that she built, and kids climb on it, Lilian Bland Park. So we went up, and I saw the plane and just did some research on her and thought she’s my woman, Lilian. She’s my hero. She’s so amazing, and what she achieved was really, really fantastic, so I wanted to write a homage to her. She did all kinds of amazing things. She tried to enter the Grand National as a jockey in 1908, and they wouldn’t let her because she was a woman. 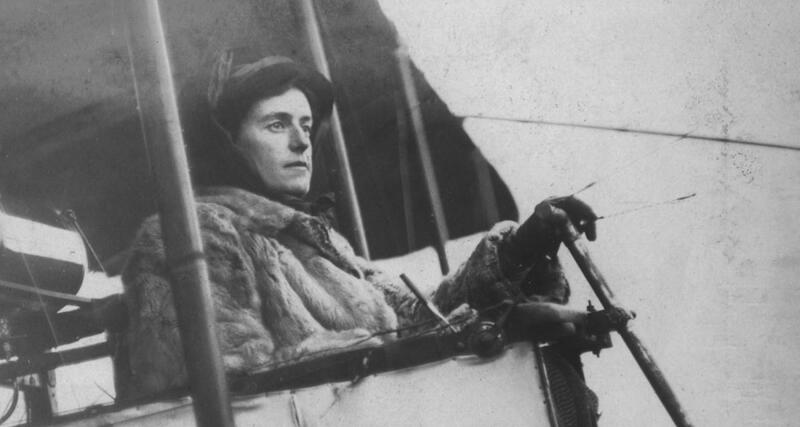 And she did write to Louis Blériot and say can you take me up in your amazing flying machine when he crossed the Channel in 1909, and he wouldn’t let her because she was a woman. And that was the spur for her to decide to try and build this plane. She was going to do it herself. And she did! Now it didn’t fly very high, and it didn’t fly very far, but the fact that it got airborne at all is just amazing. Her father got very nervous that she was flying and might die, so he bribed her with a car, with a Ford motorcar, and said if you stop flying I will buy you a Ford motorcar. He shipped it from America to Cork and sent her down with a driver, and she kicked the driver out of the way, drove it back up to Belfast herself, and opened Ireland’s first car dealership and ran it as a business for a couple of years. Then she went off to Canada – I don’t know what she did in Canada. She was fantastic. LA: You mentioned the structural element of poetry, and you finish off this collection with From The Book of Knowledge of Ingenious Mechanical Devices – referencing a mediaeval Islamic science engineering text, very much in that kind of semi-religious tradition of understanding the universe as tribute to God or the higher power. I’ve just been reading Sebastian Barry’s A Temporary Gentleman, yes, in which he also has this fascination with an engineer’s view of the world. SM: I think that sequence at the start of that where he sinks is unbelievable. It’s such a tour de force. Again, it’s what I’m trying to do in my opening ship poem. I’d read that and it blew my head off, that he’s enacting it in the language, not just describing it. It’s amazing. And then the rest of the novel is so much more prosaic. But that section is so fantastic. I’ve just read Days Without End as well. It’s astonishing. He’s really brilliant. 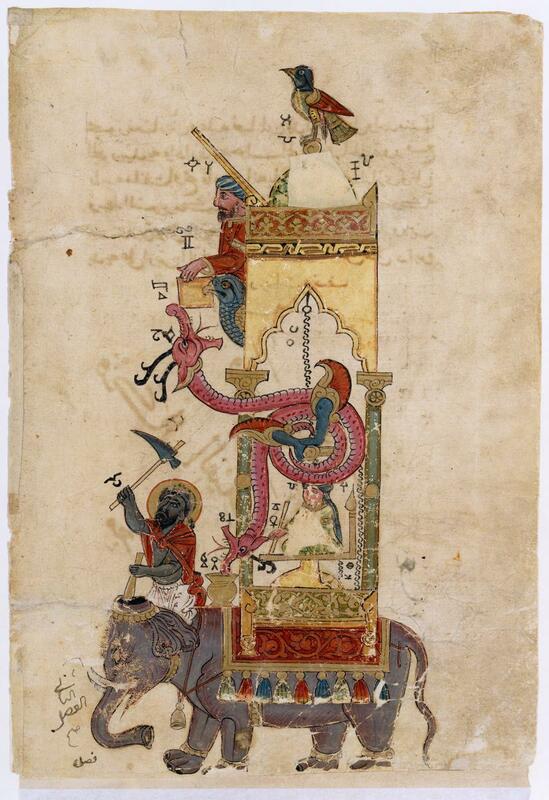 I don’t know if you looked up anything about Al Jazari’s Book of Knowledge of Ingenious Mechanical Devices, but he did the pictures. He did everything. LA: I remember being at the Islamic science museum in Istanbul. A slightly crazy museum, kind of half brilliant and half “yes we invented everything”. The Ottomans invented everything. Yes, he did. Him, personally this one guy. The astrolabes are incredible. So what interested me I think about him and his book, apart from the brilliant title – and I thought well I can’t just leave that out when I’m writing this book, that’s my book – was how useful he was. 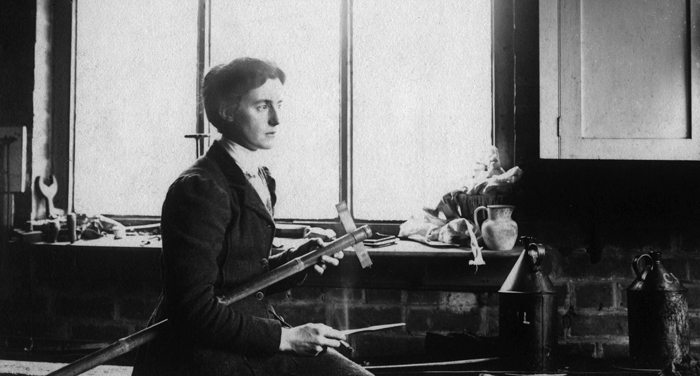 So he did invent a lot of really useful things, like the first accurate solar clock and all of these things that are really important for engineering. But he also introduced things which had no use at all, like loads of little robots that played music on a boat, or this device that while you were having your blood taken out of your vein would count the amount of blood, but to distract you a little robot would come out and tell you a joke on this clockwork thing. It’s so lovely, and even his first accurate solar clock there’s a replica of it in some massive shopping centre in Dubai. And it’s massive: it has an elephant and three guys and it’s so over the top and ridiculous and useless. What I love about him is his work is kind of balanced on the fulcrum between beauty and use. I think so much public discourse now is around impact and social value, and things are measured in terms of their impact. I think it’s sad that we are losing space for things just to be beautiful or not even beautiful but to be aesthetic on their own terms and for their own sake. I love the fact that he did both. So that’s my hymn to him, and I tried to do it in stanzas that were beautiful like his machines. On Balance, published by Carcanet, is shortlisted for the Forward Prizes for Poetry (Best Collection). The winners are announced on 21 September. For more on the Forward Prizes, go to forwardartsfoundation.org.